What an amazing celebration! We welcomed over 300 of you and your families to camp to celebrate Debbie’s amazing legacy and welcome our new Sefer Torah. It was such a meaningful day and we wanted to share some photos with you. To date, our A Tree of Life; A Torah for Yavneh campaign has raised more than $185,000 from 325 donors. We’re thrilled many of you have chosen to leave a lasting legacy at camp with a personal dedication in our Torah. Your generosity makes an immediate impact and ensures the next generation of campers will experience the Yavneh you know and love. Thank you for your continued commitment. 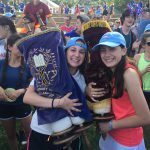 In August, our Sofer will return to camp to complete our Sefer Torah. 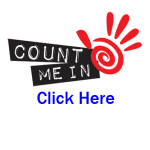 If you wish to participate in this campaign, it’s not too late. There is still time! All funds raised will benefit our greatest need which remains the Scholarship Fund.